Wikimedia Commons has media related to Sports venues in London. Pages in category "Sports venues in London"
The stretch of the River Thames between Mortlake and Putney in London, England is a well-established course for rowing races, most famously the Oxford and Cambridge Boat Race. It is often referred to as The Championship Course, the course is on the tidal reaches of the river often referred to as the Tideway. In 1845 it was agreed to stage the Boat Race on a course from Putney Bridge to Mortlake Church tower, the aim was to reduce the interference from heavy river traffic on the race. The following year, a race for the Professional World Sculling Championship moved to the course for the first time, the Wingfield Sculls followed in 1861. The course distance is 4 miles and 374 yards, as measured along the centre of the rivers stream, races are always conducted in the same direction as the tide, from Mortlake to Putney on an ebb tide or from Putney to Mortlake on a flood tide. Since the Boat Race moved to this course in 1845, it has always been raced on a tide from Putney to Mortlake except in 1846,1856 and 1863. The Den is a football stadium in Bermondsey, south-east London, and the home of Millwall Football Club. It is situated adjacent to the South London railway line originating at London Bridge, and a quarter-of-a-mile from The Old Den, which it replaced in 1993. Built on a site of housing, a church and the Senegal Fields playgrounds, it has an all-seated capacity of 20,146. The Den is the ground that Millwall have occupied since their formation in the Millwall area of the Isle of Dogs in 1885. It was designed with effective management in mind, with the escape routes being short. Originally, it was planned to have a capacity of between 25,000 and 30,000, the club opted to wait so the capacity was kept to just over 20,000. Millwall played their game at The Old Den on 8 May 1993 after 83 years. The Den was the first new stadium constructed for a football team in London since 1937. Millwall have experienced mixed fortunes since relocating to The Den and their first season at the stadium saw them finish third in Division Two—their highest finish since relegation from the top flight four years earlier. However, their dreams of Premier League football were ended by a defeat in the playoffs and they were relegated to Division Three in 1996 and they came close to reaching the Premier League again in 2002, finishing fourth but once again losing in the playoffs. The Lions reached the FA Cup final for the first time in 2004, in September 2016 Lewisham Council approved a compulsory purchase order of land surrounding The Den rented by Millwall, as part of a major redevelopment of the New Bermondsey area. Millwall had submitted their own plans for regeneration centred around the club itself. On 20 January 2011 the east stand of The Den was renamed as the Dockers Stand, paying tribute to Millwalls earlier history, the south stand is known as the Cold Blow Lane stand, which was the name of the road which led into The Old Den. The north stand is for visiting supporters and the west stand was renamed the Barry Kitchener stand and it houses Millwalls family enclosure, press box and executive seats. 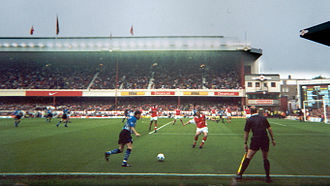 In 1994, a match was held at The Den. Ham Polo Club is a Hurlingham Polo Association Polo Club situated in Richmond in the London Borough of Richmond upon Thames, southwest London, England. It is one of the oldest polo clubs in the United Kingdom, the club occupies a location between Richmond Park and the River Thames overlooked by Ham House, eight miles from Hyde Park Corner. The clubs facilities include three polo fields, a stick and ball field, a track, livery service, coaching. Polo is played at Ham Polo Club between May and September, there are around 125 playing members at Ham and several hundred social members. Ham Polo Club is the last remaining of the clubs that existed as satellites to Londons Big Three – Ranelagh, Hurlingham. The club began life as the Ham Common Polo Club in 1926, with one full sized ground, the first ground was next door to Brown Gates House, Church Road, Ham Common, home of the first chairman, Loftus Storey. The full-sized ground lay between Richmond Gates and Sheen and a coach there was Johnny Traill, the first Argentine 10 goaler. The 1939 season was necessarily the last for the six years. Ham was revived in 1946 by William Francis Walsh, known universally as Billy, on returning from service in the Army Billy found that Capt. Tom Brigg, the owner of the stables where he had worked, had died, using his gratuity Walsh bought the stables and revived Ham Polo Club under HPA rules. It is widely believed that Lord Cowdray, Arthur Lucas and Billy Walsh were the trio who rescued polo in the United Kingdom after the war. The first post-war English polo tournament was held at Roehampton in 1947, Three years the club began using a field adjacent to Ham House for matches. Then in 1954, George Stevens, The Dysart families tenant at Ham House Farm agreed to turn the Ham House orchard into a field for the club. The first president of the club was Major Archie David the patron of the Friars Park team, the Autumn cup which he presented is still played for annually at Ham. Johnny Traill became a figure at the club and Edward Tauchert Rescued the Roehampton Trophy from the Roehampton Golf Club. Ealing Common is a large open space in Ealing, west London. It is the name of the area surrounding Ealing Common station where Piccadilly & District line trains stop. 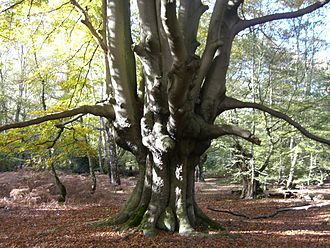 The Ealing Common Area is bounded by Ealing Town Centre to the west, North Ealing and Hanger Hill to the north, Acton to the east and South Ealing, the Ealing Common open space is bounded by Gunnersbury Ave to the east and the Uxbridge Road to the north. 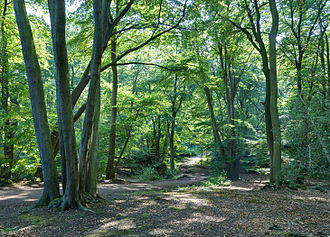 A smaller area of the common extends to the east of Gunnersbury Ave, the western boundary includes The Common and Warwick Dene, with Elm Avenue to the south. The Ealing Common open space is a land as designated by the 1866 Metropolitan Commons Act. On Monday,20 August 1733, a match with important status was played on the common between Ealing & Acton and London. The result is unknown but the terms of the match were for £50, play or pay, London was the sports premier club at the time. This is the mention of Ealing & Acton and of Ealing Common in the surviving records of early cricket. London Stadium, is a stadium in Stratford, Greater London, England, at Marshgate Lane in the Lower Lea Valley. It was constructed to serve as the stadium for the 2012 Summer Olympics and Paralympics, hosting the track and field events. It was subsequently renovated as a stadium, with its primary tenants being West Ham United Football Club. The stadium is 6 1⁄2 miles from Central London, land preparation for the stadium began in mid-2007, with the official construction start date on 22 May 2008, although piling works for the foundation began four weeks before. The stadium held its first public event in March 2012, serving as the line for a celebrity running event organised by the National Lottery. Following the Paralympics the stadium was used intermittently whilst under renovation, the decision to make West Ham United the main tenants was controversial, with the initial tenancy process having to be rerun. As well as its tenants, the stadium will continue to be used for a series of special events. It annually hosts the finish of the Great Newham London Run at the start of July. The stadium can hold concerts with up to 80,000 spectators, during Londons bid for the games, promotional materials featured a main stadium with a roof designed to wrap itself around the venue like muscles supporting the body. However at that time there had no formal design brief agreed. While the bidding process was ongoing West Ham had talks with the ODA about contributing to the development of a multi-purpose stadium, with the original Olympic design finalised and being built, the government had a change of heart and a bidding process for a multi-sport post-Olympic legacy was launched. The stadium design was launched on 7 November 2007, the construction of the stadium commenced three months early in May 2008 after the bowl of the stadium had been dug out and the area cleared. The building of the stadium was completed in March 2011 reportedly on time and under budget, the stadiums track and field arena is excavated out of the soft clay found on the site, around which is permanent seating for 25,000, built using concrete rakers. 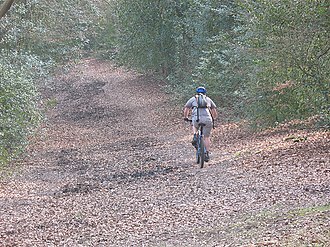 Hurlingham Park is a park and multi-use sports ground in Fulham, England. It is currently used mostly for rugby matches, football matches and athletics events and is the home of Hammersmith, the park served as the location for Monty Pythons Upper Class Twit of the Year sketch. The venue opened in 1879, the year as Fulham F. C. were established. It had a capacity of around 2,500 people. The opening meeting of the track was on 11 September 1954, the running track was originally made of cinder. The field on which the track is situated was originally a polo ground and was purchased from the Hurlingham Club after World War Two. A grandstand was built in 1936 to replace an earlier version but it became run down in the 1990s and it had a capacity of approximately 2,500 on bench type seating. The stadium has replaced by a substantial pavilion. The infield is a maintained grass pitch and is used for either rugby union or football. The track has a 200 metres straight on the home next to the grandstand which extends past the regular start line although the extension has been fenced off. The Honourable Society of Grays Inn, commonly known as Grays Inn, is one of the four Inns of Court in London. To be Called to the Bar and practise as a barrister in England and Wales, located at the intersection of High Holborn and Grays Inn Road in Central London, the Inn is both a professional body and a provider of office accommodation for many barristers. It is ruled by a council called Pension, made up of the Masters of the Bench, and led by the Treasurer. The Inn is known for its gardens, or Walks, which have existed since at least 1597, Grays Inn does not claim a specific foundation date, there is a tradition that none of the Inns of Court claims to be any older than the others. 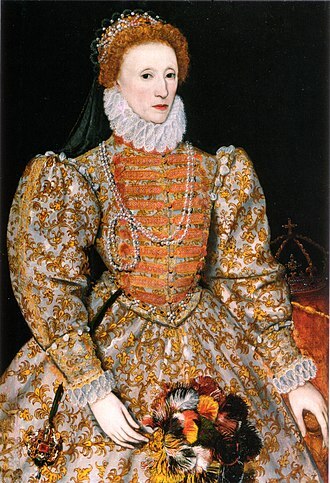 Law clerks and their apprentices have been established on the present site since at least 1370, during the 15th and 16th centuries, the Inn grew steadily with great prestige, reaching its pinnacle during the reign of Elizabeth I. The Inn was home to many important barristers and politicians, most notably Francis Bacon, thanks to the efforts of prominent members such as William Cecil and Gilbert Gerard, Grays Inn became the largest of the four by number, with over 200 barristers recorded as members. During this period, the Inn became noted for the masques and revels that it threw, the Inn continued to prosper during the reign of James I and the beginning of that of Charles I, when over 100 students per year were recorded as joining. Fortunes continued to decline after the English Restoration, which saw the end of the method of legal education. Although now more prosperous, Grays Inn is today the smallest of the Inns of Court, Grays Inn and the other three Inns of Court remain the only bodies legally allowed to call a barrister to the Bar, allowing him or her to practise in England and Wales. The Inn remains a collegiate self-governing, unincorporated association of its members, providing within its precincts library, dining and office accommodation, members of the Bar from other Inns may use these facilities to some extent. 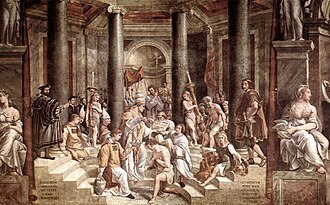 During the 12th and 13th centuries, law was taught in the City of London, as a result, the existing system of legal education fell apart. The common lawyers migrated to the hamlet of Holborn, the nearest place to the law courts at Westminster Hall that was outside the City, the early records of all four Inns of Court have been lost, and it is not known precisely when each was founded. Arsenal Stadium was a football stadium in Highbury, North London, which was the home ground of Arsenal Football Club between 6 September 1913 and 7 May 2006. It was mainly known as the Highbury Stadium due to its location and was given the nickname of the Home of Football by the club. It was originally built in 1913 on the site of a local recreation ground and was significantly redeveloped twice. The first reconstruction came in the 1930s from which the Art Deco East and West Stands date, the stadium hosted international matches – both for England and in the 1948 Summer Olympics – and FA Cup semi-finals, as well as boxing and cricket matches. Its presence led to the local London Underground station being renamed to Arsenal in 1932, making it the only station on the Underground network to be named after a football club. The lease negotiation agreed that no matches were to be played on days and that no intoxicating liquor would be sold at the stadium, however. The stadium was built over the summer of that year. It featured a single stand on the side and the other three sides had banked terracing. 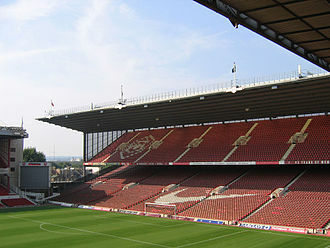 It opened whilst not fully complete, with Arsenals first match of the 1913–14 season, leicesters Tommy Benfield scored the first goal at the new ground while George Jobey was the first Arsenal player to do so. 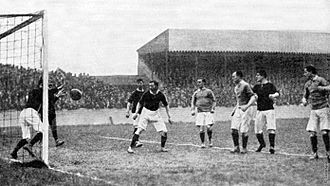 Highbury hosted its first England match in 1920, the Australian rugby league team suffered the first loss of their 1921–22 Kangaroo tour of Great Britain at Highbury to an English side 4 points to 5 before approximately 12,000 spectators. 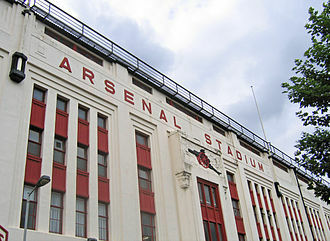 Arsenal bought the site outright in 1925, for £64,000. No significant portion of Leitchs original stadium remains today following a series of bold redevelopments during the 1930s, the idea was to create a ground for London that could capture the grandeur of Villa Park, home of Birmingham club Aston Villa. On 5 November the same year the local Tube station was renamed from Gillespie Road to Arsenal, Leitchs main stand was demolished to make way for a new East Stand, matching the West, in 1936. View of The Den from South Bermondsey railway station. Trooping the Colour at Horse Guards Parade in 1956. The Coldstream Guards on Parade at Horse Guards, by John Chapman, c. 1755. Horse Guards Parade with the London Eye Ferris wheel in the background. Hayes Lane in 2018, view from "Cricket Club Side"